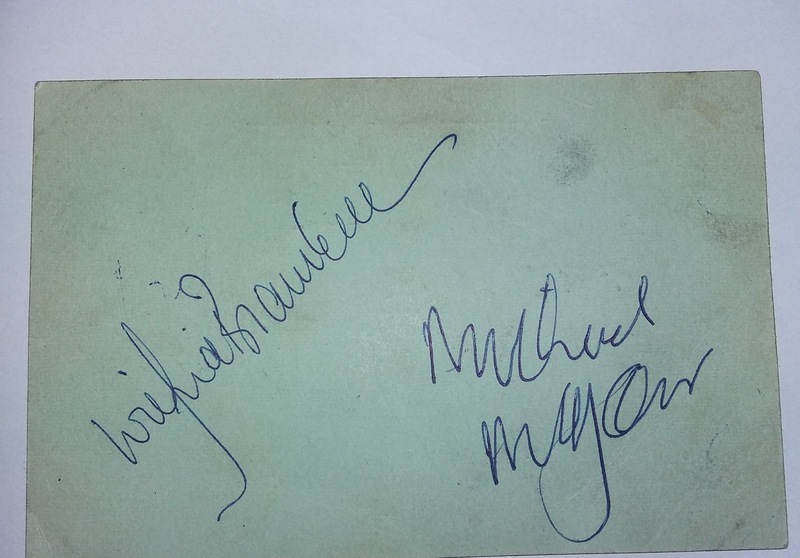 These three Beatles autographs (John, Paul and George) were obtained in 1963 at Speke Airport in Liverpool. They are mounted with a photograph featuring the three signers. Created to tie in with the 1968 animated classic Yellow Submarine this Corgi toy has it's hidden Beatles figures intact and the flip up mechanisms and the rotating periscopes still work. It doesn't have its box, sadly, but would still look fabulous on any collectors shelf. First Edition Hardback of Summer Of Love book signed by Beatles Producer George Martin. This item has an estimate of £120-£130. 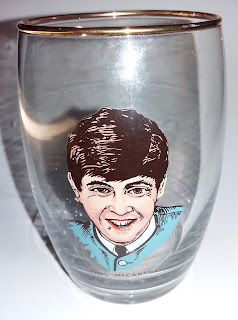 Beatles Fan Club Promo Picture with a Secretarial signature. 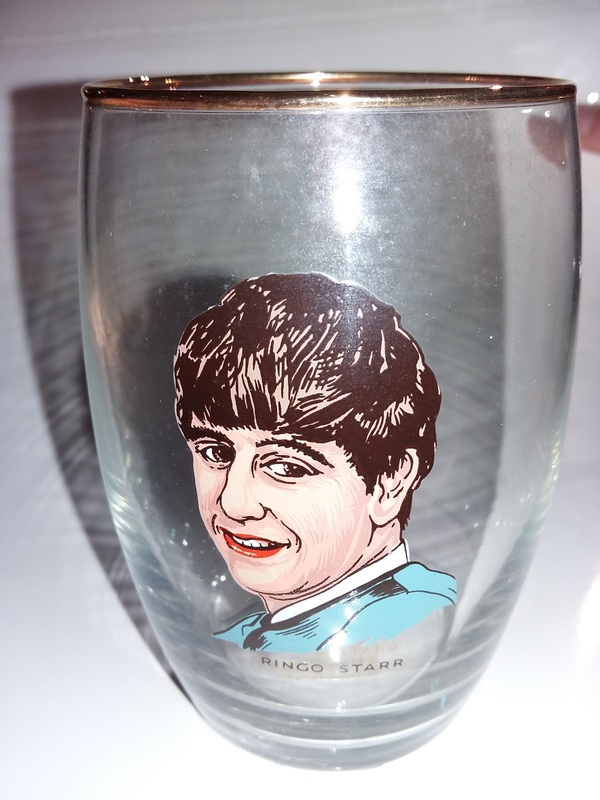 It's quite well known nowadays that back in the day you couldn't always guarantee who had signed Beatles signatures. 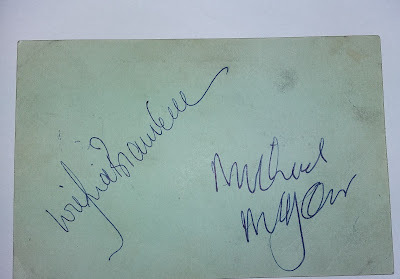 This is an example of a Paul McCartney signature by a secretary on an official fan club picture. Beatles Irish Linen Tea Towels are popular items in our Annual Beatles Auction, they are a good "starter" item for collectors and can be displayed to great effect. Produced by Selcol this record rack is in a bold red plastic. Each slot in numbered so you can keep a list of which disc is where. 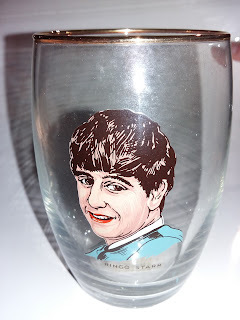 There were several variations of Beatles brooches at the height of the band's popularity. 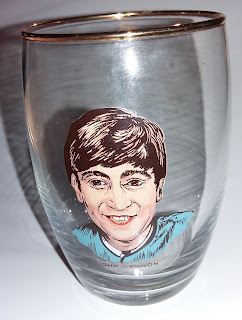 This one features a Beetle with "The Beatles" on the bar at the top, housing the pin. This softback edition of the The True Beginnings not only contains the story of Mona Best and the Casbah Club it is also fully signed by all three of the Best brothers, Rory, Roag and, of course, Pete. 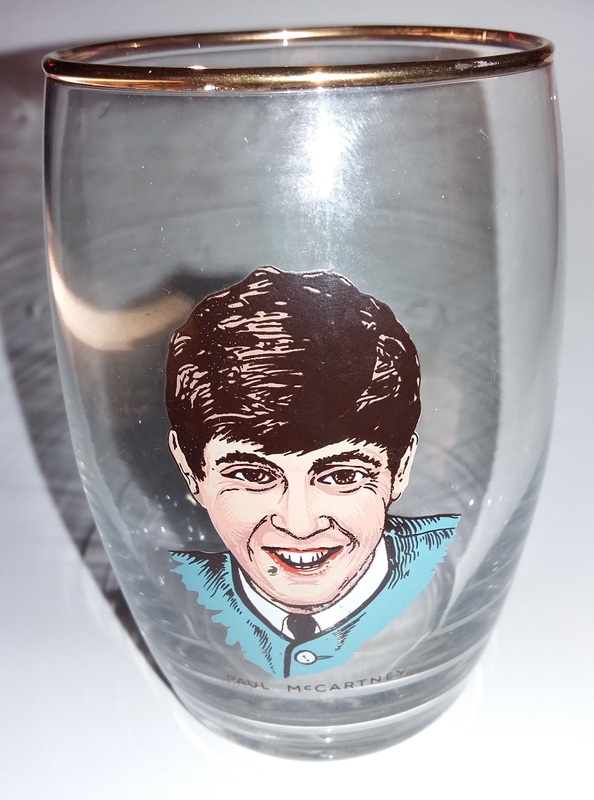 This set of four drinking glasses was produced by Joseph Lang & Company Ltd in the UK in 1964 for NEMS Enterprises. 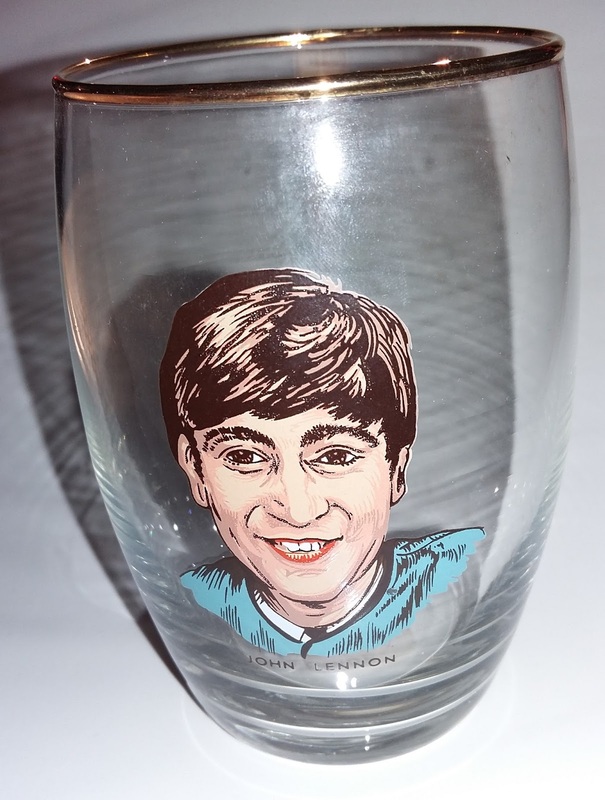 The gold rimmed glasses are about 10cm tall. 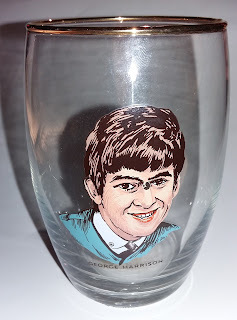 The images of the vessels are bright but sadly there is a small amount of damage to the George decal. 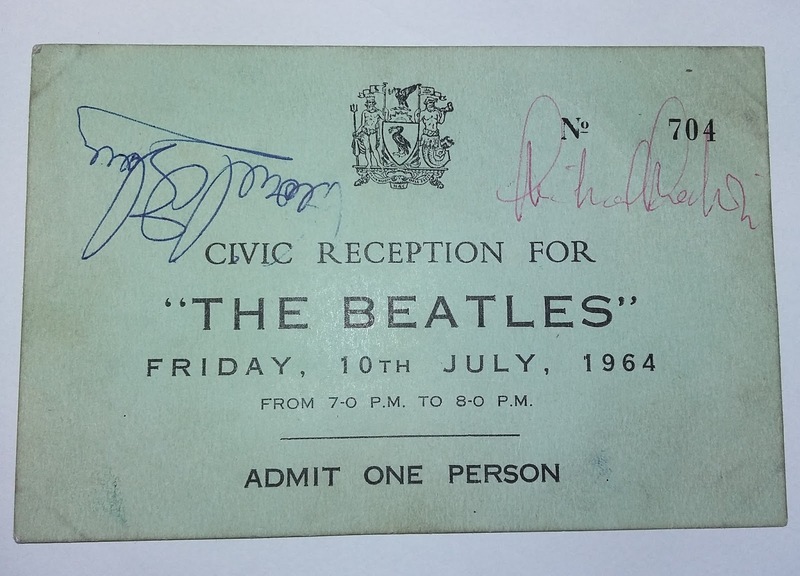 On 10th July 1964, before the Northern Premiere of their first film A Hard Day's Night, The Beatles attended a Civic Reception at Liverpool Town Hall. 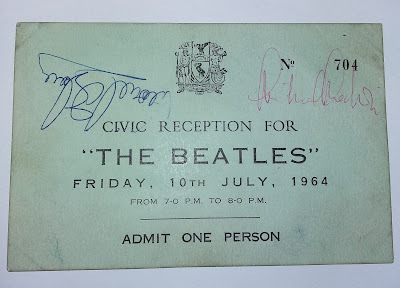 This ticket for the event is signed on the front by co-star Victor Spinetti and film director Richard Lester, plus on the reverse by co-star Wilfred Brambell and Paul's brother Michael McGear of The Scaffold. The ticket is number 704. 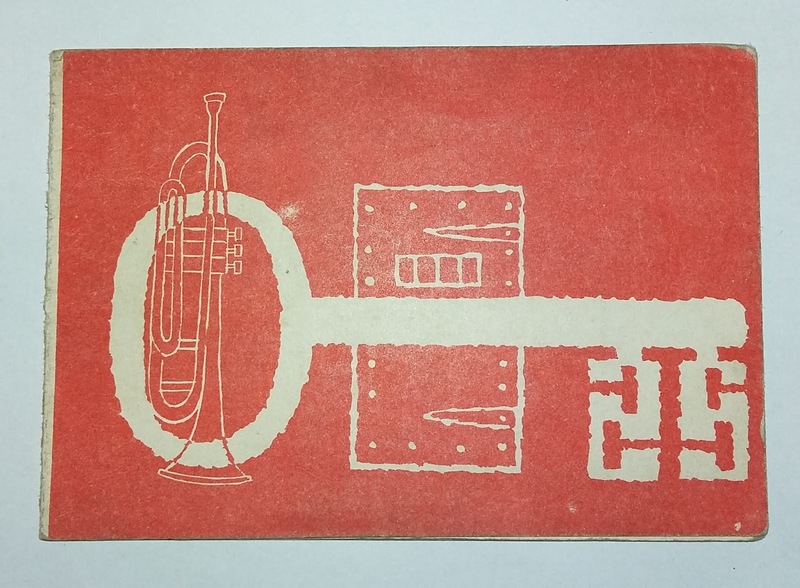 Liverpool had lots of clubs in the 60s, amongst the most famous after the Cavern Club is the Iron Door. The resident band was The Searchers and it was there that Cilla Black made her vocal debut in 1961. This membership card with the distinctive logo on the front is from 1963. 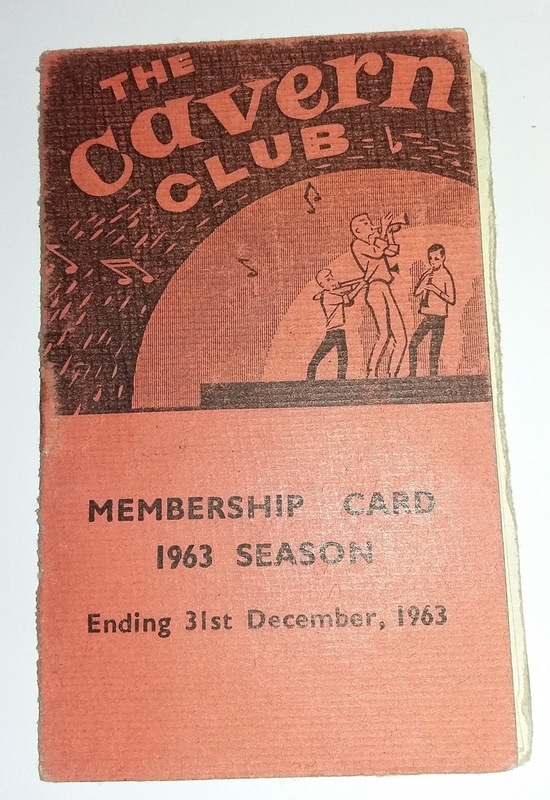 January this year saw the 60th Anniversary of The Cavern Club in Liverpool, and this membership card is linked to another significant year in the club's history. August 1963 saw the final performance of the Beatles at the famous venue. 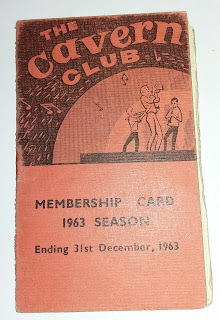 While this card didn't mean entry in that particular ticket only event, who knows what other lunchtime or evening sessions the holder attended in that year. 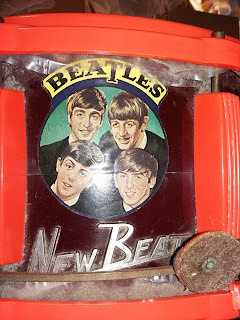 Produced in 1964 by Selco, these drum kits were part of the toy instrument collection that included various plastic Beatles guitars, after all even pretend bands needed drummers! This example is in need of a little TLC, there is some damage to the drum head and it is missing its stand, however it would still make an impression display piece in any collection. 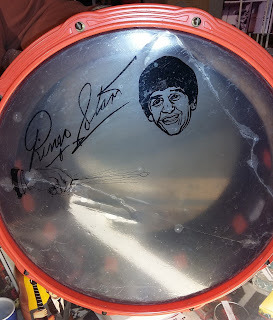 The Beatles label on the side of the drum is intact and not faded.